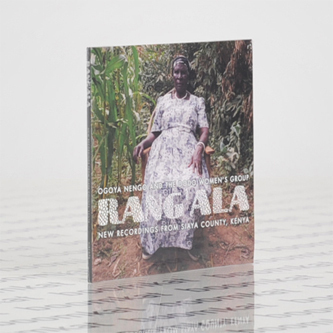 Honest Jon's return to Kenya with this spellbinding suite of Dodo songs sung by 70 year old Ogoya Nengo. A legend in her country, Ogoya is the most prominent exponent of the vanishing Dodo artform - a musical means of spreading messages and social commentary, much like Indo-European bardic traditions and the griots of Mali. 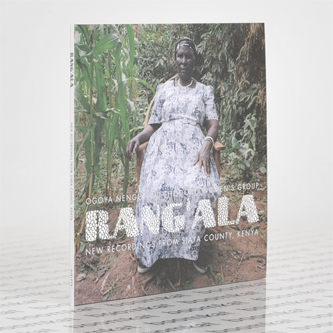 Following his work on the Mkunguni, New Recordings from Coast Province, Kenya, Stefan Schneider again had the pleasure of recording Ogoya's spellbinding performances, and those of local percussionists and her extended Dodo Women's Group, documented in 14 concise pieces, at best when Ogoya's beautifully cracked yet supple tone is centre-stage, especially when she's whispering against a cacophony of cicadas in 'Arum'. Recommended.